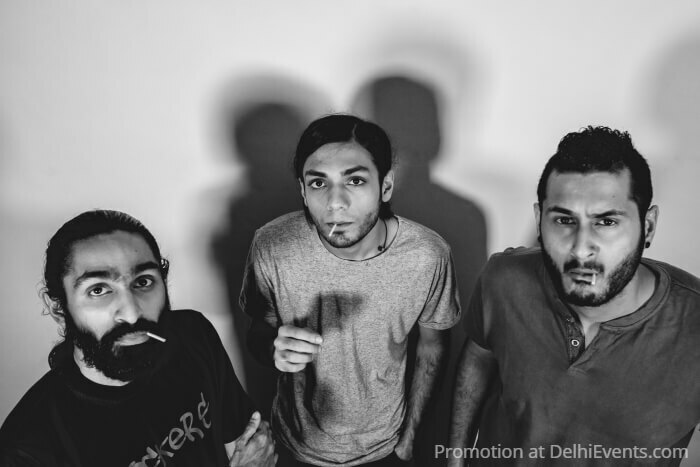 NOK NOK is a band from New Delhi, India that offers a fresh perspective on the Blues rock and Contemporary music. Comprising of a trio of seasoned Musician's from bands such as Barefaced Liar, the Ska Vengers and Zokova, NOKNOK have been working on their original material for the better part of three years and will be launching their new single "Mistake". The band has incorporated elements from their favourite music to create a fun, unique and memorable sound ,carving a niche for themselves somewhere between the blues and prog rock. They released their eponymous debut EP in early 2018 and are releasing their first full length album in 2019. This single is the first release from said album. Opening for the band will be The Groovesmen, a power blues-rock group, based out of New Delhi, India. The trio's exciting and vibrant new sound has been showcased and met with much favour! With a combination of their unique style, sound and energy, and exciting collaborations in the pipe line; The Groovesmen know exactly how to bring the house down with the type of flair you never even knew you were missing - until now!